Don’t Get Stuck on My Tongue, Stackers! On the night I created Words of Happinest, I promised myself never to write any negative entries, except for some personal sad thoughts and misfortunes, which importance in this blog is explained on the Categories page and tagline–… with an occasional fondle of woe to help us appreciate good times more–but never bad reviews about the books, films, products, places, and establishments I have experienced. A colleague and I went to work without eating breakfast, and so as foodies, we decided, along with another co-worker, to order burgers for that morning which later turned into our lunch since we called in late. We had three options to choose from: Good Burgers, Army Navy, or Stackers Burger Cafe, which we found on this other co-worker’s so-called “black book” that contains leaflets of various food establishments. Stackers was a stranger to us, but Good Burgers would open at 11am, while Army Navy ceased delivering around our area, so we thought of trying the alien just to satisfy our early burger cravings. It actually doesn’t deliver food, too, but multi-restaurant delivery service City Delivery could do the job for them. So everything was settled then. Honestly, I was pretty excited about this new find that I even brought my iPod Touch to our office pantry to make sure I capture my first ever Stackers Burger Cafe experience. 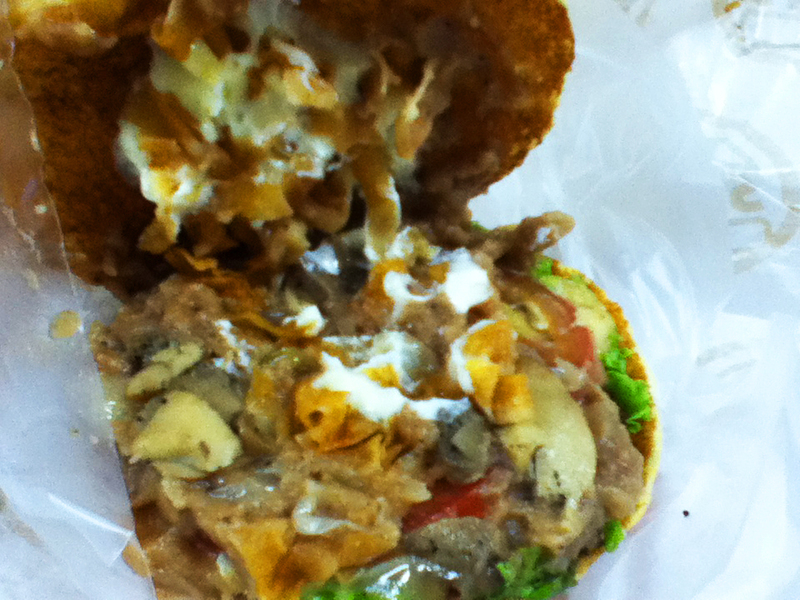 I had the Pepper Burger which costs 185 pesos. It’s pricier compared to Army Navy’s Classic Burger (165 pesos), but the latter seems bigger albeit both restaurants use quarter-pound beef patties (Well, not all for Stackers offerings, but for its Pepper Burger, supposedly, yes). Maybe it’s because the former uses 100% Australian beef–which I can’t exactly tell apart from McDonald’s patties? Maybe. Anyway, I love the patty, I can’t say anything bad about it ’cause it tasted just right. Another which I can’t comment anything bad about are the mayo, fried crispy bits, and the sautéed mushrooms (I’m an avid fan of mushrooms no matter how they’re cooked), I had tasted them just fine. But then there goes its bun that kept on sticking to my teeth. I had to cover my mouth every after bite just to remove them. As for the veggies, they were a disappointment. I love lettuce, tomatoes, and onions on my burger but the ones on this are totally off. The tomato was okay, but the lettuce wasn’t fresh, in fact, it was already dark green and I think it tasted like Chinese cabbage. Then to my dismay, the onion strips were cooked. I love the taste of raw onions even if they leave a lingering smell on my mouth even after I brush my teeth. They’re one of my favorite parts in a burger, but since the strips on this were cooked, it lost its flavor. Sad. Then do I have to say something about the pepper steak sauce since it was named after it after all? Hmm. I honestly can’t recall how it was now or if it even had a taste, maybe it was somewhere along the average line. 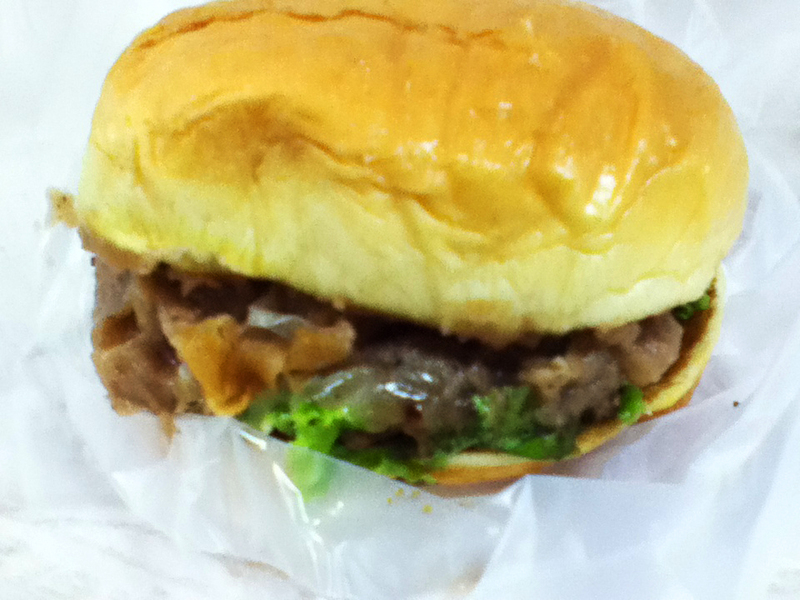 But, oh, I can surely make a remark about my colleague’s burger. She ordered the Crazy Burger which costs the same as mine, yet apparently, it tasted worse. It was quite shocking to see her border on the mad side when she had her first mouthful of it, but I instantly understood why when she had me taste the dotted white sauce which is actually the cheese and grained mustard. It was sour at first, but as it dissolved on my tongue, it started to taste awful in the mouth. 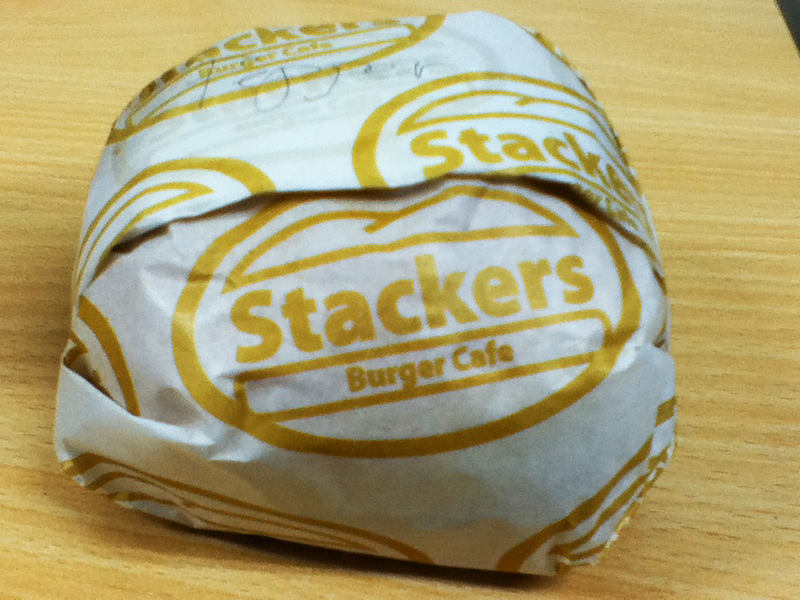 Our other officemate had a simple Stackers Burger for 105 pesos and she didn’t like the bun either. Overall, I think it’s quite obvious that I’m not going to try and eat any Stackers food in the future (But come to think of it, maybe it has something to do with us not dining at the restaurant itself…? I don’t know, that thought doesn’t make sense. O.o). Maybe it was just me or maybe Stackers and I just didn’t click, but I’ve read other bloggers’ entries about it and they weren’t saying anything spectacular about it either. Oh well, after finishing mine, I had the feeling I could still eat a Big Mac since my tummy wasn’t sated at all. 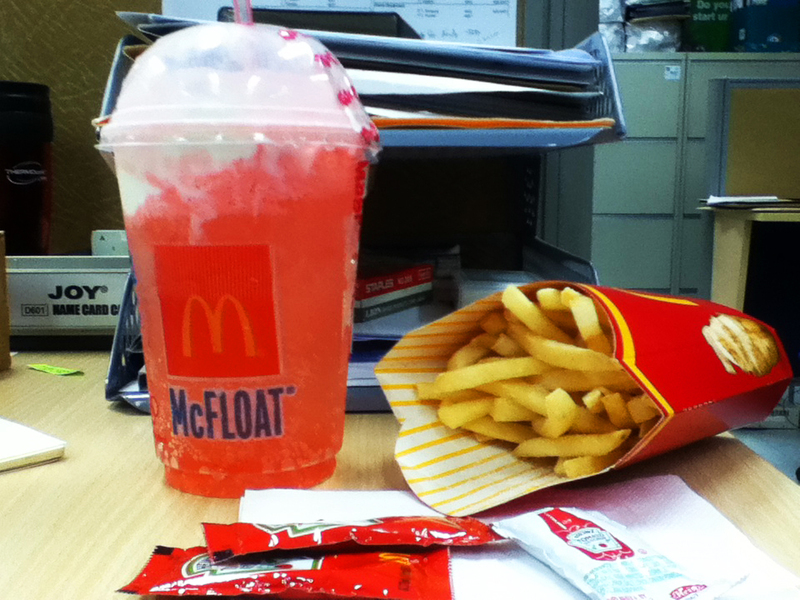 And if before I didn’t need to eat merienda after having burger for lunch, this time I found myself craving for a McFloat and large fries to make up with my tummy and taste buds. Aaahhh… What to do without McDonald’s? Hehehe. 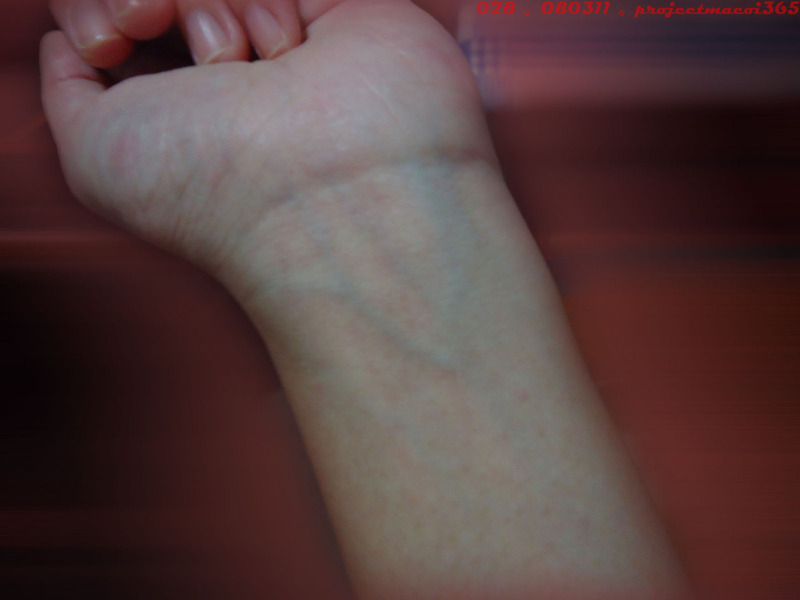 Wrist slitting. The first thing that springs to my mind whenever I come across the word suicide, and far as I know, it’s the most stupid method to choose if you’re really decided to end it all. 3. It’s messy! Just imagine the blood stains that you’ll leave on your bed sheet (assuming your attempt worked). It’s too gross, and don’t be selfish, it’s heartbreaking enough to lose someone/a loved one, so don’t make other people’s feelings worse by making them clean the evidence of the disgrace you did. Oh no. Before you get any ideas, no, I’m not suicidal or anything. The reason why I thought of this madness is because I read about the high suicide rate in South Korea today. There was even a report that said that South Korea has already surpassed Japan when it comes to this. As I read about it in the office, I was pretty okay because it was just an info I got to know, so I thought that life would go on. But when I got home and I still couldn’t get it out of my head, I started to get sad for the Koreans and feel lucky that I’m from a third-world country. A The Korea Herald or The Korea Times News article that I read said that when the democratic Korea wasn’t rich yet, the nation’s suicide rate was one of the lowest in the world. But when the globalization hype started, that’s when the increase began. Overworking is one of the reasons for this. To be globally competitive, one must work extremely hard, so that’s what they have been doing. Koreans would willingly work long hours everyday (Yes, even past the regular working hours, I’m just not sure if they get paid for overtime. ), which means they get less sleep. Likewise, students don’t get enough rest, too, because each day, after their regular schools, they still need to attend hagwons (or cram schools), and they take not just one subject. There’s this Korean that shared on the Internet that he takes five hagwon classes at the moment. He only takes two in a day, but they’re still two—two additional subjects aside from the ones being studied in school each day. Of course, when they get home they still have to do their assignments and study for the next day, which means they get to sleep at around two in the morning, and wake up at 5am, I think. I don’t know how they do it, but they sure are hard working and competitive. I can’t even imagine myself doing that. No, not in a gazillion years. And oh, they have something about sickness, too. Whether they’re workers or students, they all continue with their everyday lives even if they’re sick. The explanation for it is that showing utmost effort and diligence are just too important for them that they’ll only get themselves absent if their illness is already leading them to the verge of death (maybe that’s a little exaggeration on my part). Depression is another reason why South Koreans commit suicide. Alright, every person around the world gets depressed sometimes, but I think it’s on a different level in this country. Psychiatry is still a taboo for Koreans (or so I read), meaning going to such doctors would automatically make others think that they’re insane, so they’d rather stay away from help and keep to themselves. And we all know what happens when we keep everything inside. So that, couple it up with overworking and you get people saying goodbye to the world permanently. I don’t know what you think about this bit of knowledge, but it sure got me affected. I just find it ironic that they work hard to make their lives the best, but in the process, they give up and end that very thing that they’re working on. *Originally posted on my Project 365 on August 3, 2011. I am a proud treasure hunter. 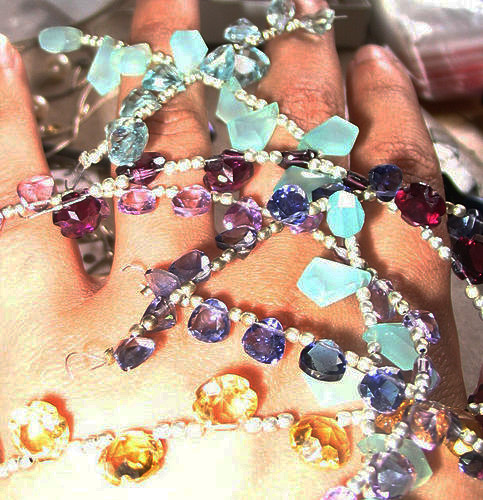 I always search for jewels in everyone I meet. Without any safety gears except for a headlamp, I brave dark mines, anticipating to uncover loads of precious stones. I persistently dig and dig deeper in every surface I can reach and put my hands on, not minding the dirt I acquire all over my face and body in the process. Big or small, a lot or just a few, it doesn’t matter to me for they all yield the same rewarding feeling upon discovery. What’s interesting is each mine is different. Some almost readily give me the stones I am looking for a few minutes after I enter and begin my work, some with proper timing, while there are those that take longer and are more frustrating to excavate. I dig and dig and dig. I find satisfaction in doing it. And with the latter type, concerned people oftentimes shout at me from the outside, advising me to stop ’cause they see how my quarrying is getting futile. But the stubborn optimist in me still go on. Truth is, I become worn out in this kind of mines, yet conceding is not an option. I am already inside and I have started exerting efforts. I dig and find mere pebbles. I dig more and unearth rocks. Then I dig deeper with more force only to reveal useless boulders. And when I reach this point, I’m already close to tears, but my mind keeps on telling me that just a few more and I’ll finally see what I’m searching for. Because when I do, I’ll blissfully get out of the site and brag to everybody my interesting finds. Never mind how messy I am from all my hard work inside. That’s the best part for me, when I persevere in times when others have already given up, then I luckily succeed. But there are depressing cases when no matter what I do, all I expose is filth. Then when I realize I’ve done my best and I’ve already spent too much time inside the dark with no anything valuable yet, I start feeling stupid and wasted. I pity myself as I look at my blistered hands and it’s what I abhor most. So my temper rises, and there’s nothing else I can think of but plant bombs all over the site, go out, and blow it up. I watch as the fire eats up the place. And when nothing’s left but a ruin and black smokes, I silently leave without wiping the stains on me. Sad and disappointing, but that’s how it is for me. So as much as possible, I avoid that moment. It was only at the middle of this year when I realized that I’m this kind of person. Then recently, I remembered writing a profile article for the business magazine I worked at before about somebody like me, but he’s an expert and knows how to handle frustrating situations best. My former boss and I met him during his company’s event. He was friendly and there was nothing on his aura that made me feel uncomfortable. Then the interview afterward, which was set right that very moment when we were introduced to him, was smooth and light that I instantly admired his interpersonal skills. I think he influenced me in becoming the treasure hunter that I am today. He is a role model and he is the kind of boss I am yearning to have. If you also want to get to know him, I have posted my article about him below this entry. It was published in the September 2010 issue of China Business-Philippines magazine and was also posted online for the netizens to read. With two decades of experience working with people, he knows what he is saying. A gem himself, Varin is considered one of the most important and valued leaders in Dell South Asia for constantly receiving the highest employee feedback scores. With such stature, he has been given the task of managing Dell offices in 21 developing countries in South Asia region in the past one and a half years. One of his roles is managing country managers and in-country teams to boost sales in enterprise and client service and solutions. He is also in charge of gathering distributors and partners “while developing partner strategies and skills in the region” for the company. Varin got started in the computer industry after he graduating from New Hampshire College with a degree in Computer Information Systems in 1990. He moved to Malaysia to work with IBM, then back to the United States when he transferred to networking company 3COM Corporation as chief strategic marketing engineer for worldwide customer communications. Once back in Malaysia, he worked for NEC Computers Asia Pacific as marketing director for a year. It was five years ago when he finally worked with Dell South Asia. He was hired by Dell as software and peripherals manager. A year later, he was moved to managing the inside sales of the call center for same region. He describes managing a call center as ‘good times’ because he was given the opportunity to head a call center with 100 to 200 people. He was, after all, a people person. For about a year and a half, Varin has been with Dell as the managing director for the region’s developing market. Varin has more or less worked in every aspect of the IT industry. From programming, technical networking, then product and PR marketing, to sales, and a management, he can confidently say he knows business in and out. But when asked what he likes most in all those areas he has been, he confesses that he has no favorite. “What I like best is not really any of those areas,” he says, “It’s more working with people.” And this is the reason he describes managing a call center good times. Varin is naturally a people person. In fact, he believes it’s one of his skills. “I like working with different kinds of people, different kinds of cultures, and getting the best out of everyone,” he says. Having met all sorts of people has led him to believe that everyone has a gem or a strong point within them, and he says it’s up to the leader to dig it up for the world to see. As a person experienced in the business industry, he knows what can come out from people in the best way. “That’s something I’ve been very successful at,” he admits. He says that it’s by managing people the right way and letting them shine that results will come. Once you succeed in doing that, everything will follow. “The marketing goes well, the sales go well, [you put] the right products in the market,” he says. But digging for gems is not easy. Aside from seeking strengths, spotting people’s weaknesses is also vital in the process. This is done because, he says, many people do not know their strength or they may be aware what it is but don’t spend time on developing it. But by learning what they’re good at through the results gathered by Varin, people will do something to leverage it. “I identify the one or two things that need to be done so that they can further develop,” he says. The process of taking a strength to a higher level, he says, includes linking a person with someone weak in that area. Then one who has the skills becomes the mentor of the one lacking it. In the end, the ‘weaker’ employee learns, and the other learns more from sharing what he has. He gives everyone honest feedback. “If it’s good news, I tell them straight. I don’t hide things. So when there’s an issue, I’m direct,” he adds. What’s more, he doesn’t only tell the people what their problem is, he also tries to help them by giving them mentors. But there are times when his method just doesn’t work. And when that happens, he has no choice but to let the problem employee go. He believes that not everyone that the company lets go is unskilled, it’s just that they’re not for the job. “I look at it [and ask myself], ‘Is it job fit’?” He says many see people who do not perform as problem employees but he says 70% of the time it’s job fit. According to him, out of 20 employees, only one in six who don’t perform may have to be let go. The other five can sometimes be moved to other roles to become stronger. Karl Hess, the global director for customer communications when Varin was still at 3COM Corporation is one of them. Aside from moving him to the US, Hess also helped to bring out the people-person aspect in him. “I definitely attribute a lot of things to him,” he says. Another is Paul-Henri Ferrand, Dell’s vice president for global marketing. Varin describes him as a superb and assertive man. In the 20 years he has been in the business, Varin has learned one thing: Enjoy life. And because he is a people person, he lets everyone get their share of enjoyment. “My philosophy is to make sure that everybody is enjoying what they do,” he says. Whenever he sees someone not having fun on the job, he turns the atmosphere around and tries to brighten the situation. Though he may seem nice, he’s strict about his team’s performance. “You need to enjoy what you’re doing. But results must be there,” he says. It is, after all, a two way street. The miner digs the gems, in turn, the miner should also get something out of it.